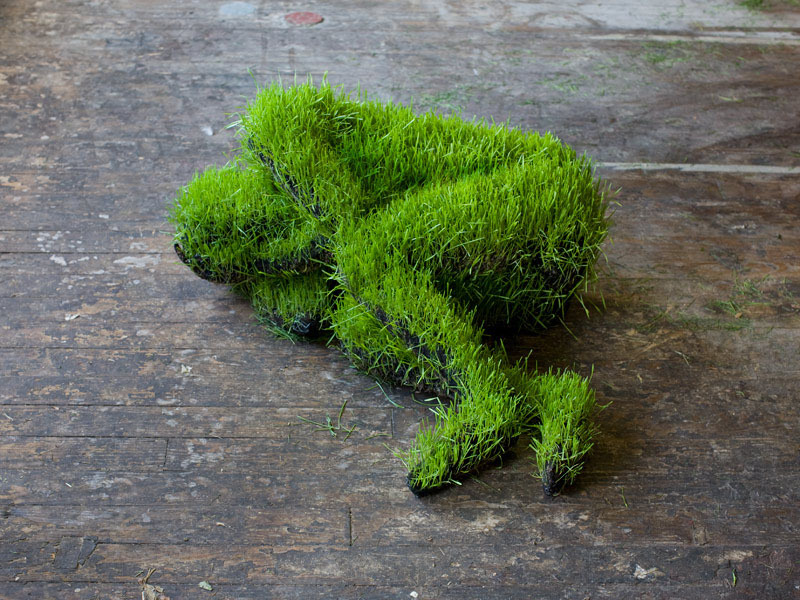 French artist Mathilde Roussel created these suspended anthropomorphic sculptures titled Lifes of Grass using soil and wheat grass seeds that, just like a chia pet, slowly transform with the growth of grass. I strive to show that food, it’s origin, it’s transport, has an impact on us beyond it’s taste. The power inside it affects every organ of our body. Observing nature and being aware of what and how we eat makes us more sensitive to food cycles in the world – of abundance, of famine – and allows us to be physically, intellectually and spiritually connected to a global reality. 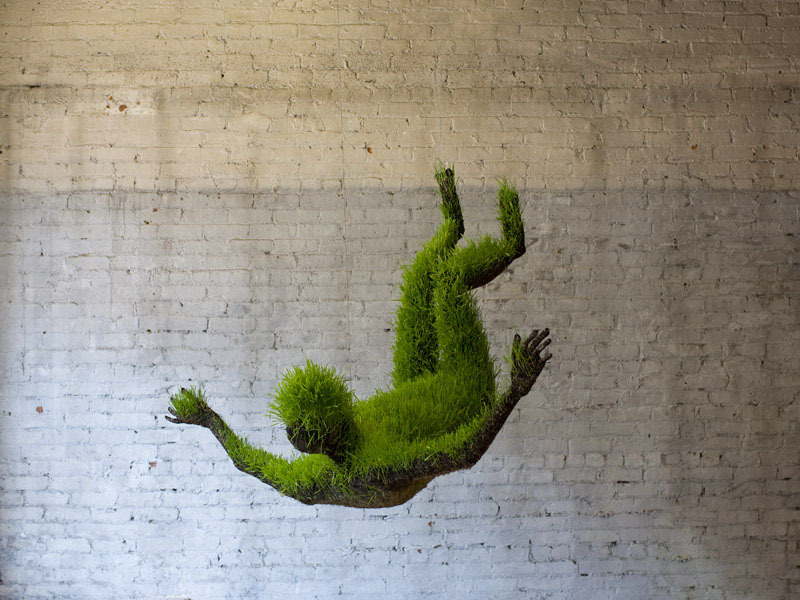 Roussel has exhibited these works in numerous gallery spaces since 2010, especially in Brooklyn and Manhattan, but most recently at Anatomia Botanica exhibition at the Cheekwood Botanical Garden and Museum of Art, Nashville.